Dr. Harry H. Roberts' official resume includes only one entry in the professional experience section: Coastal Studies Institute, Louisiana State University. For almost thirty years he has devoted his time and energy to conducting research and teaching students at LSU, though in fact his projects frequently have taken him far from Louisiana. He has studied reefs in the Caribbean, algal bioherms and deltas in Indonesia, depositional settings in the Red Sea, terrigenous-carbonate facies and wave-current interactions in Nicaragua, shelf margin morphology in the West Indies, marine geology of the Nile, lagoons on Grand Cayman, and of course many aspects of the geology of the Gulf of Mexico and Mississippi and Atchafalaya deltas. In the process he has become an internationally recognized expert on marine geology, deltaic/carbonate sedimentology, and reef processes. Harry entered LSU as a graduate student after receiving a B.S. degree from Marshall University, Huntington, West Virginia, in 1963. Fellowships from the Pan American Petroleum Foundation and the National Science Foundation supported his graduate work. Concentrating on Recent carbonate sedimentation, he earned his M.S. degree in 1966 and his Ph.D. in 1969. The geographic area for this study was North Sound, Grand Cayman Island. His interest in the Caribbean and Bahamas islands continues to the present. Having demonstrated his adeptness at conducting field research, publishing his findings, and teaching, and an ability to participate in team efforts, he was invited by Coastal Studies Institute to join its staff as an instructor. The work of the Institute, at that time contracted for the most part by the Office of Naval Research, was conducted in many parts of the world, and Harry expanded his geographic framework to include projects in ever far-ranging locations. He readily accepted the challenge of foreign field projects, working out the complicated logistics of shipping massive amounts of equipment and obtaining cooperation from foreign agencies and native field assistants. In Louisiana, the emerging Atchafalaya delta provided an unparalleled opportunity for study of a new delta lobe in its formative stages. Monitoring the delta's development has given new clues to processes active in delta formation. A soon-to-be published book presents much of the material he and others have have assembled on this new delta. Interspersed with foreign work, in addition to his Atchafalaya and ongoing Mississippi delta studies, has been research in the Gulf of Mexico. Recent continuing investigations of deepwater geologic settings in the Gulf using research submersibles have inspired new appreciation of the surface geology of the continental slope and the importance of unusual gas hydrates in this setting. In support of this work, Coastal Studies Institute technicians fabricated equipment for in situ measurements of gas emission and temperature changes in the sediments as well as the water column. In addition, an MMS contract recently resulted in completion of a synthesis of high-resolution acoustic data from Louisiana's continental slope. The surficial geology of the slope was evaluated using high-resolution acoustic data, which were verified by direct observations and samples collected by a research submersible. With the publication of Harry's research results and presentation of papers at regional and national conferences came invitations to lead field seminars and continuing education courses and a corresponding growth in his reputation as a leading scientist. His outstanding ability to communicate through lectures and writing has earned him awards, beginning with a GCAGS Best Paper Award in 1980, and invitations to serve on editorial boards. He received another Best Paper Award from SEPM in 1984, a Best Published Paper Award from the Gulf Coast Section of SEPM in 1985 and 1994, and third place in the GCAGS Best Paper competition in 1986 and in the Best Poster category in 1988. He was named to the Board of Advisory Editors of Coral Reefs and Sedimentary Geology and currently serves as associate editor of the latter journal. In 1992 he won the prestigious I. A. Leverson Award. He regularly reviews manuscripts for international journals and served as an AAPG Distinguished Lecturer in 1994. He received the GCSSEPM Outstanding Educator Award in 1995. Advancing through the ranks at LSU, in 1970 Harry was promoted to assistant professor. 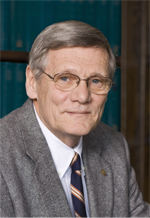 In 1973 he became an associate professor, and since 1978 he has been a full professor. In 1985 he was named assistant director of CSI, and from 1989 to 1995 he served as director. He resigned as director in order to give more attention to research and teaching. He continues to win contract awards for LSU from such agencies as the Department of Energy, NASA, MMS, NOAA-NURP, NSF, and private industry. His most recent field work was set in the Mahakam Delta, Indonesia; he has just completed a four-volume report that provides the first clear understanding of the sedimentary architecture of a tropical delta. He has served the University in a number of ways, and his service was recognized by LSU in 1993 when he was awarded the H. M. "Hub" Cotton Award for Faculty Excellence. His contributions include serving as a member of the Faculty Senate in 1974-75 and on the Search Committees for Vice Chancellor for Research, Dean of Basic Sciences, and Director of the Center for Coastal, Energy and Environmental Resources (CCEER). He was a member of the committee named to write a proposal to establish the Basin Research Institute. He has worked on advisory committees of the Center for Energy Studies, the School of Geoscience, and CCEER. He was coordinator of CSI's Industrial Associates Program and served on the Strategic Wetlands Plan Task Force and the Basic Sciences Chairs and Directors Council. On the state level, Harry is an alternate to the LUMCON Council and Executive Committee and was a candidate for the Outstanding Scientist Advisory Council. He is a member of the International Association of Biological Oceanographers. From 1988 to 1990 he was a member of the National Steering Committee for the Earth Sciences Geostationary Platform, a NASA program, and he served on the Steering Committe for the Global Sedimentary Geology Program Workshop on Neogene Global Change. Harry has embraced deepsea submersibles as a tool for studying underwater seafloor geology and geologic processes. He has dived in Alvin, Pisces II, and the Johnson Sea-Link manned research submersibles. NOAA vessels and research submersibles have supported his work on authigenic carbonate buildups on the Louisiana continental slope, and NASA high-altitude aircraft have acquired multi spectral imagery over the Louisiana coast in support of his work. He participated in a cooperative program with the Earth Resources Laboratory at the National Space Technology Laboratory using a unique multispectral scanner system and in a Center for Satellite Meteorological Studies project at the University of Wisconsin to evaluate changes in Louisiana's coastal plain and nearshore waters. Honorary membership in the Gulf Coast Section of the Society of Economic Paleontologists and Mineralogists is apt recognition for Harry Roberts, who has devoted his adult life to the science of marine geology, sedimentology, and reef processes. He is an outstanding educator, researcher, and communicator. More than that, he is a person who commands the loyalty, respect, trust, and admiration of his colleagues and students, who applaud his selection for this honor.